This is definitely applicable when is comes to gold jewellry, in my opinion. Sometimes, gold can look rather overwhelming and intimidating. However, find the right designs, and with a good sense of style, and they can look fab! Usually, necklaces are a simple way of looking dressy. 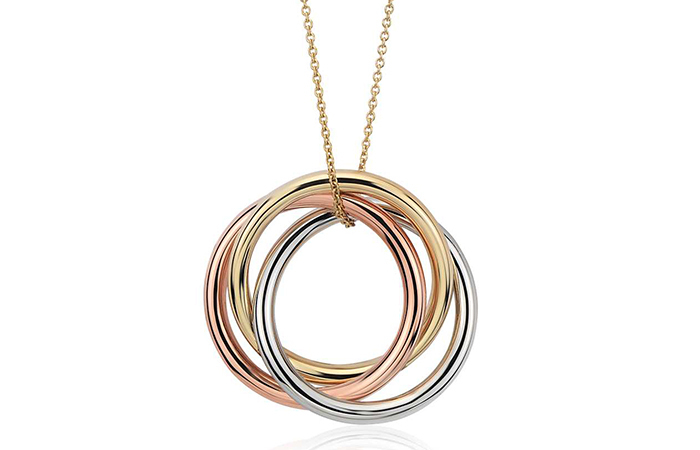 They don’t have to be much, a simple chain looks absolutely fabulous. 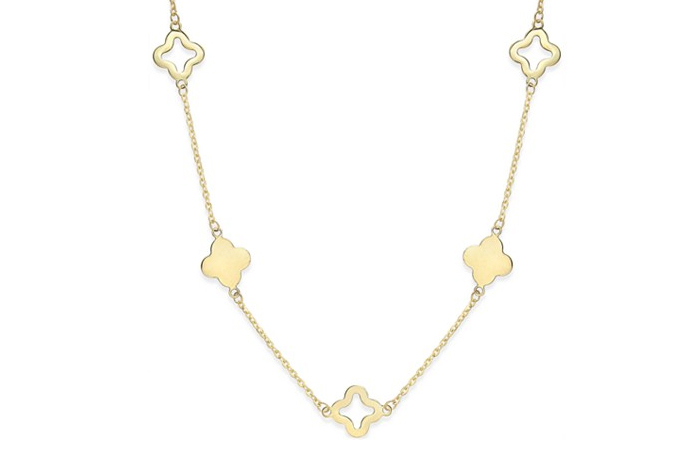 We’ve compiled a list of cute necklaces that will make you want to wear them! If you’re a fan of filigree jewellery, you’ll love this one. It’s an intricate pattern for those people who are looking for something fancy, yet simple. It looks gorgeous on just about anything. Picture this – a casual top with jeans and converse. Or if you want to pair it with something fancy, go for a bodycon dress with a plunging neckline. Have a birthday coming up? This adorable four-leaved clover makes a great gift for anybody! It’s extremely simple, so if you’re trying to pick something out for someone who is picky or doesn’t really use anything too fancy, this is the perfect gift for them! Plus, who wouldn’t like receiving a whole bunch of luck?! This one is for those who are a little bold with their choices. Or even if you aren’t too bold, but are willing to make a statement, try this necklace. It would look fantastic with a classy dress and a cute pair of pumps. It would especially stand out if you are wearing a high neckline. You can wear dangly earrings along with it or keep it simple with chunky studs. Sounds appealing, doesn’t it? Know a friend whose anniversary is coming up? Be a good friend and get their boyfriend or husband to get this for them. It’s an elegant piece and unless that friend has an extreme dislike towards hearts, this will definitely make her happy. 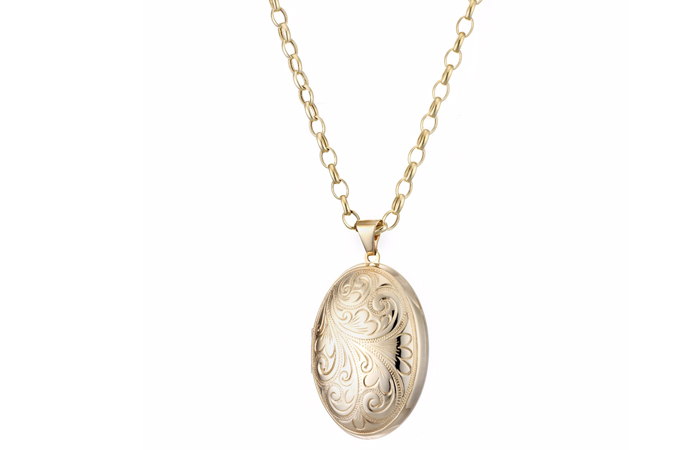 Perfect for the vintage lover in your life, this dome locket is a great keepsake. And if you’re a vintage lover, it’s time to treat yourself! This locket necklace looks good on absolutely anything! It’s quite casual so you can make it work with absolutely any look. This one is a basic piece and I think everyone should own one. If you’re looking for a gifting option for someone you know and you aren’t really sure of their likes and dislikes, this is a safe bet. Everyone needs a basic chain. The best part? You can customize it however you want by adding pendants and charms as per your wish! Who says you can’t accessorize your office outfits? When you go there for five days in a week and spend most of your time there, you might as well make it worthwhile by dressing up and looking your best. 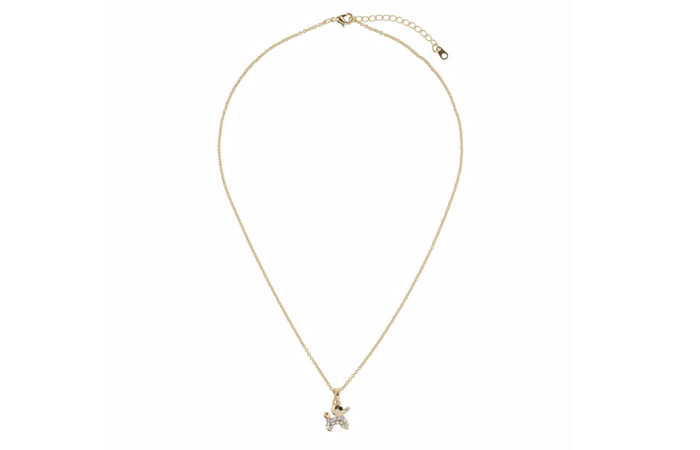 This necklace would look great with a blouse tucked into trousers or a skirt. Doesn’t this look adorable? It’s cuteness overload, if you ask me. This one is ideal for all you pup enthusiasts. It would look great on a pair of jeans and a casual top. It adds a quirky touch to any outfit and makes for a great gifting option. The epitome of elegance, this dainty piece from Guess will add a little something extra to any outfit. 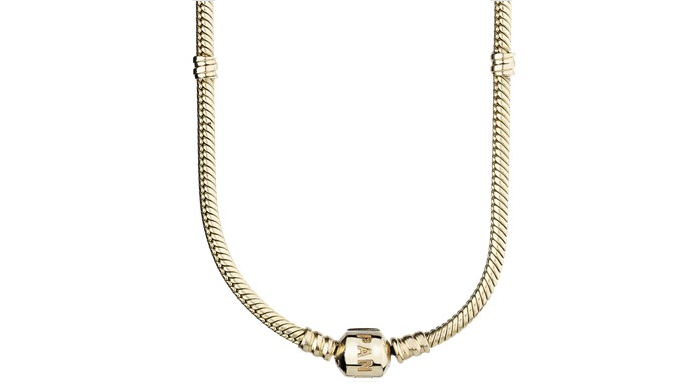 A barrel-style charm adds the right amount of jazz to the simple gold chain. Pair this with a blouse and your favorite pair of denims for those lazy Sunday brunches with your girlfriends. 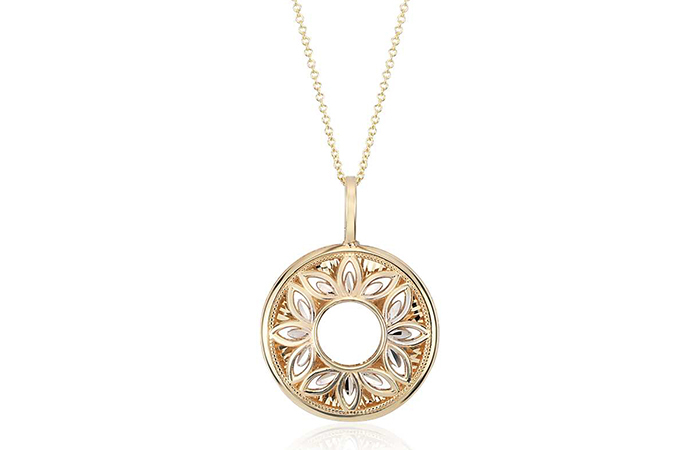 The contrast of the yellow and white gold in this filigree pendant chain gives a beautiful three-dimensional effect. I shall not lie, this pendant is definitely on the ‘girly’ side. It will look best when worn with pretty summer dresses. 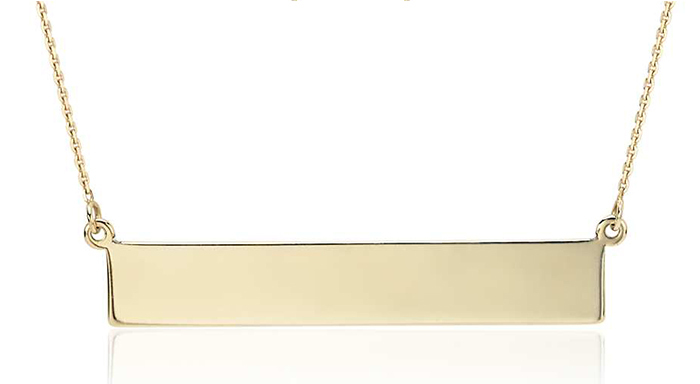 The simple gold bar necklace has been a rage for the last couple of months; be it absolutely plain or with some engraving on it. It looks classy and chic at the same time. A simple white or black loose-fitting tee, blue denim, booties, and this – Perfection! If one heart won’t make the cut for you, would three do? LOL! 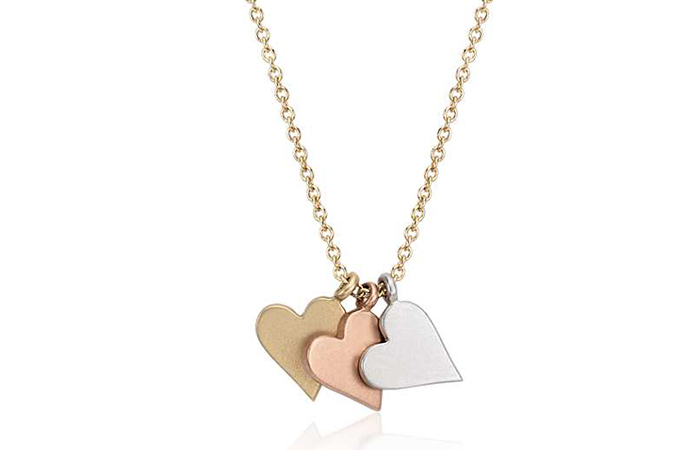 The satin finish on these three hearts in gold, rose gold, and white gold makes it the to-go necklace option for different occasions. It is not too overpowering to wear for formal gatherings and not too simple to wear for a family function. I know I am little obsessed with the tri-color thing, but how can I resist when the designs are so delicate and pretty. 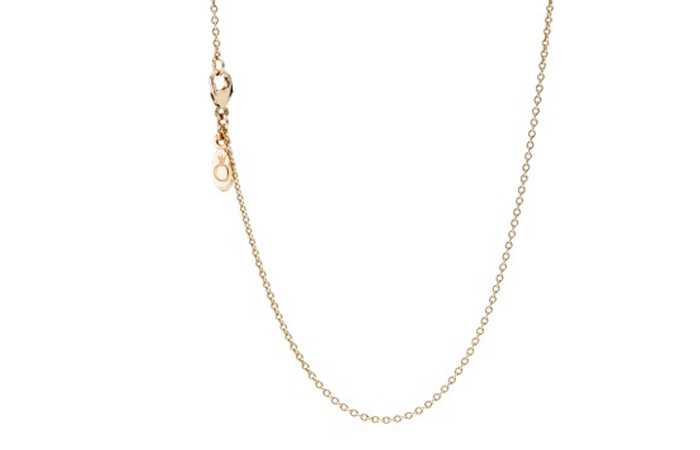 And what is even better about this dainty chain is that it symbolizes infinity. Gift it to your best friend and I can assure you she will cherish it forever! Get one for yourself too while you are at it. 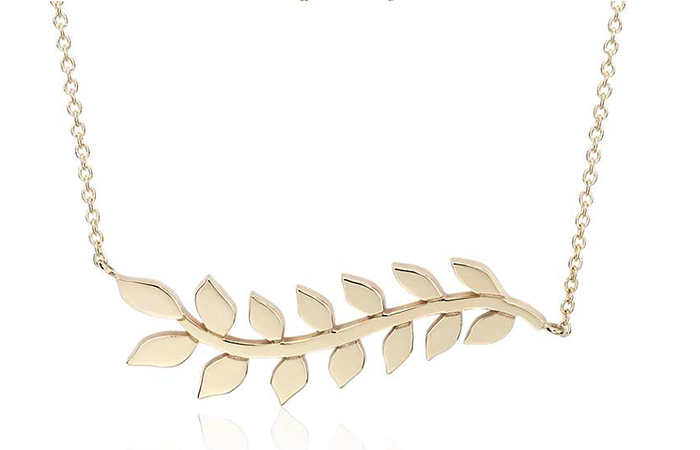 Olive branch tiaras might seem too far-fetched, but what if a simple leaf branch necklace could give you the feeling of a Greek goddess? 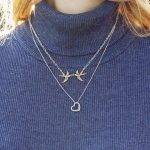 You will feel more connected to Mother Nature with this chain around your neck. Simple monochrome outfits will look best with this. 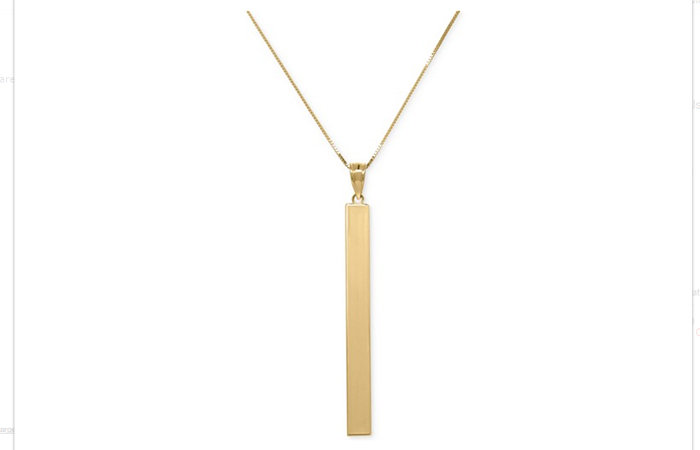 Taking the bar necklace to the vertical plane, this dainty necklace will make a statement too. Its clean design will accentuate your neck, hence this is best worn with deeper necklines that will show off your décolletage. 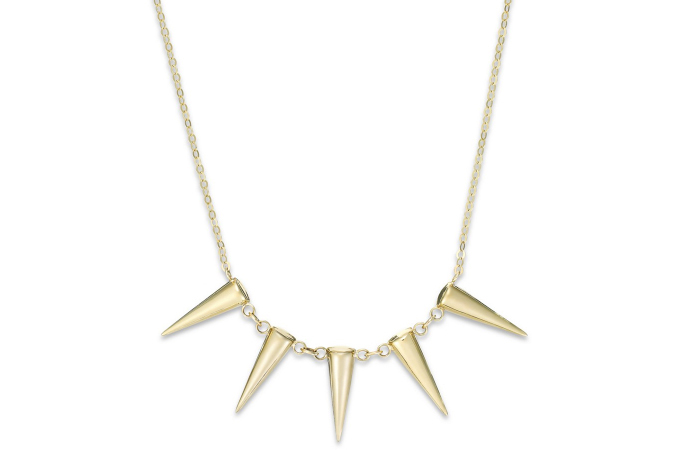 If you are somebody who prefers to add an ‘edge’ to your outfit, this necklace is perfect for you. It is graceful and edgy at the same time. Wear this with a funky tshirt, ripped denim, and lace-up boots for that extra-edgy look. Five clovers for some luck at an interview or blind date? Sounds tempting, right? 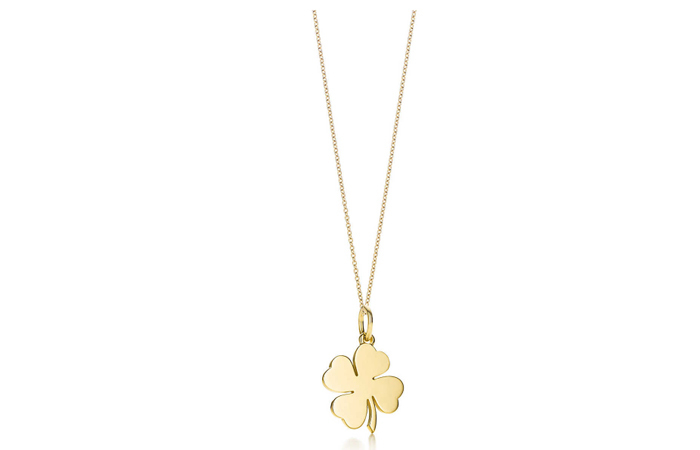 This elegant piece with the famous Irish clover leaf will pair well with a blouse and trainers, or even a strappy dress for a date night with your significant other. Deep roots signify deeper traditions and values. 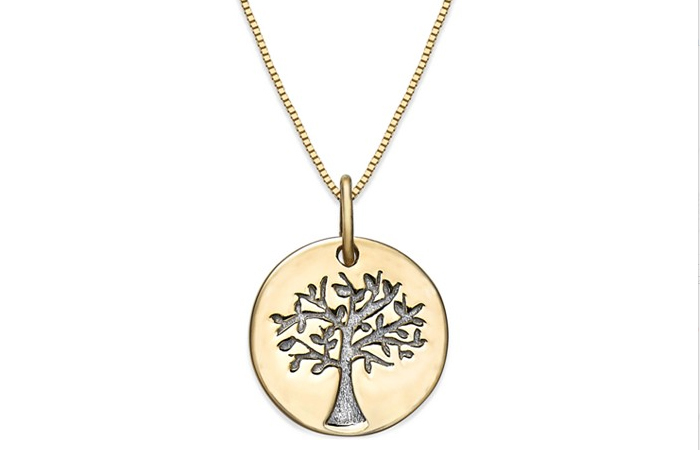 This necklace showcases a wonderful illustration of the family tree and its deep roots. No matter how old you are or the person to whom you plan to give this to is, this neckpiece will be hold a special place in the heart. Shiny disco ball! 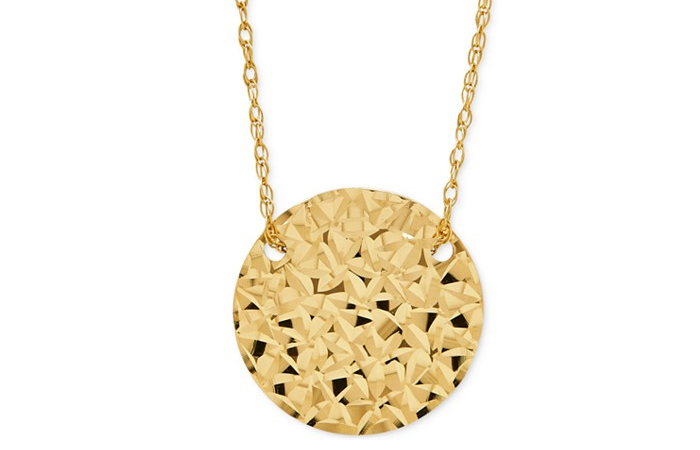 Not literally, but the intricate pattern on this round pendant chain will definitely give you the 90s feel. 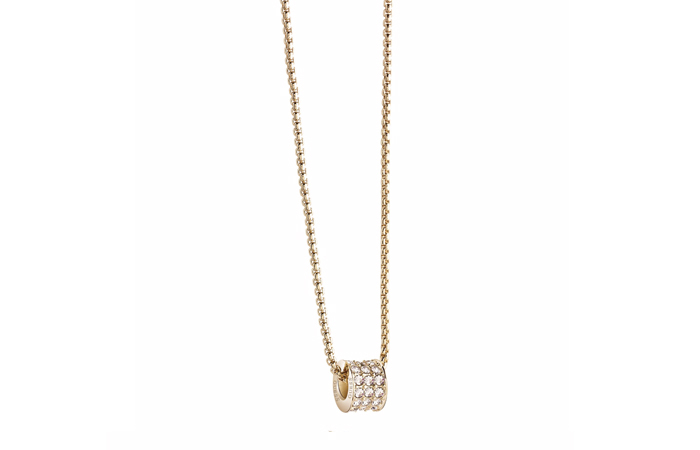 The onlooker will be lost in its detailing no matter what outfit your pair this necklace with. 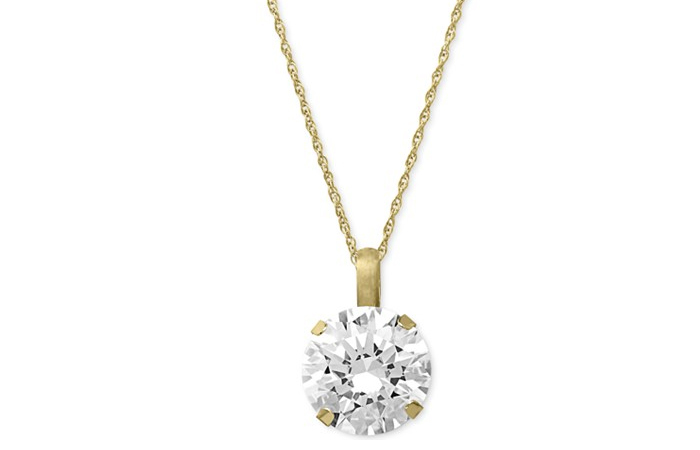 A classic pendant for a dainty necklace is a bright white stone. 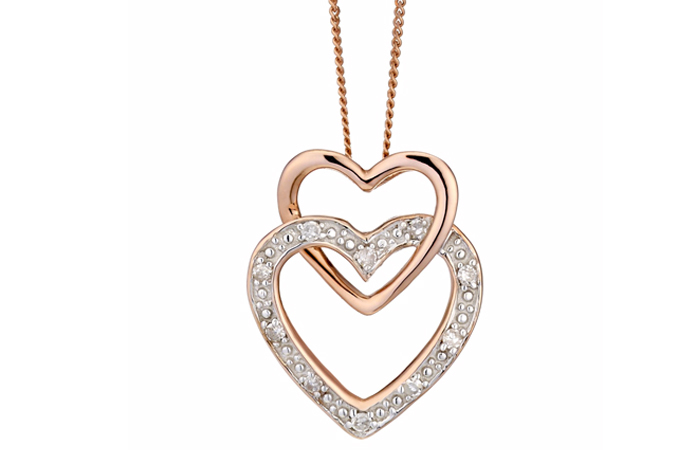 The Swarovski zirconia stone in this pendant is well cut – its Swarovski after all! This necklace will make an ideal gift for Mother’s Day. Picture your mom in a wonderful floral blouse, well-fitted pants, and this necklace! 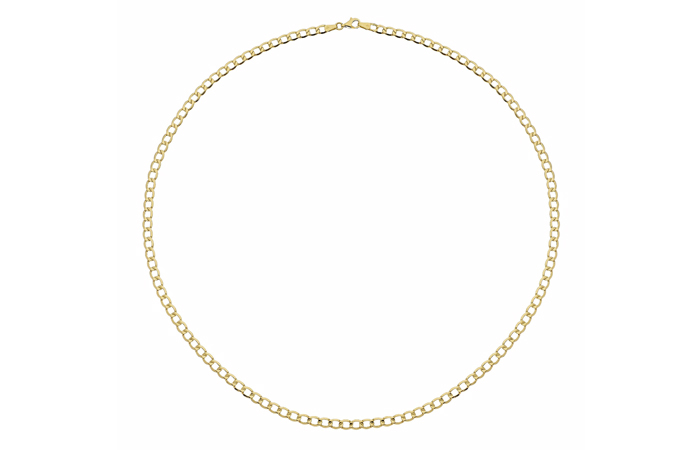 This is all about the latest gold chain designs for women. 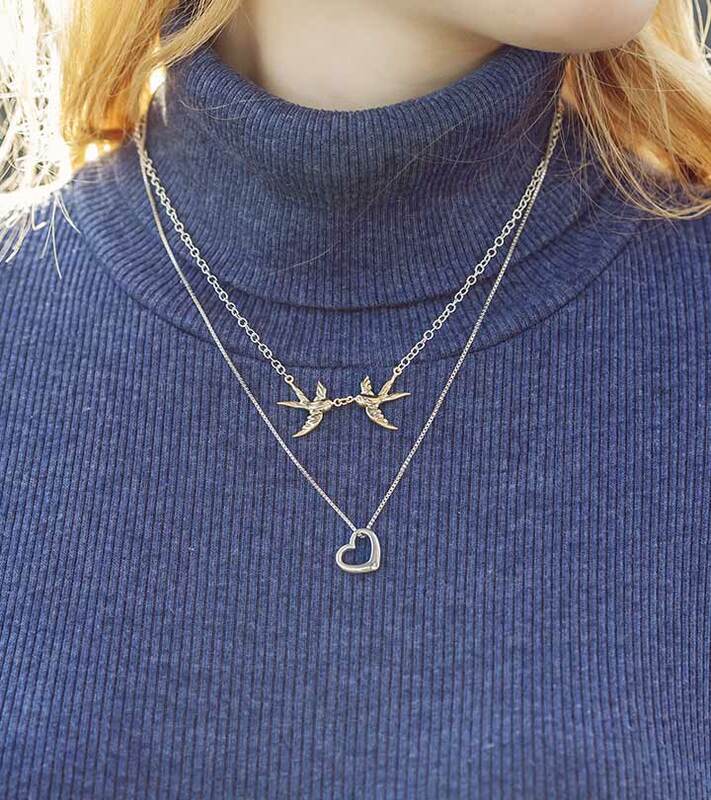 The best part about these dainty neck pieces is that you can’t really go wrong with any of them. They’re all simple and elegant, and you can make them work for any occasion. Which one are you planning to own? Leave a comment in the box below! Head To Toe – How To Look Effortlessly Stylish? 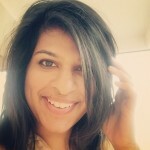 How To Reuse Your Old Silk Sarees In A Trendy Way! Save Money While Building Your Wardrobe – This is the Best Time to Do So!